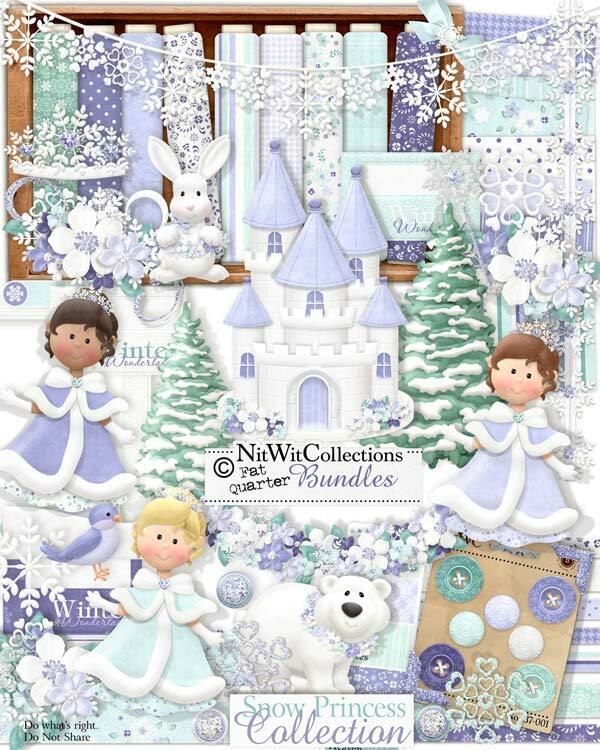 "Snow Princess" Collection gives you a winter wonderland in all its splendor! Our Snow Princess is out strolling in her castle grounds with the creatures enjoying the outing with her. Look at the trees covered with snow, the winter flowers in full bloom and the sparkle in each snowflake. Isn't this what Winter is truly about....embracing all the sights and delights that it has to offer! Put down your snow shovel and grab your computer mouse to browse through this Collection and see what charmed Winter memories you want to create! 1 Bunny in his winter "suit"
3 Snowbanks - we don't want to bury you! 1 Wand - give it a try, who knows what it will create?